As 2019 begins, I’m already excited about how I will grow my business this year. Fortunately, in 2018 I uncovered some myths about affiliate marketing that I just had to leave behind and I was rewarded with higher earnings as a result. Here are the top 5 affiliate marketing myths that I discovered were absolute BS in 2018. Whether the issue is that you don’t have the money to spend or you think you can figure it out on your own, you might think that you don’t need a coach to make money online. This is completely untrue. While you might be able to bring in a few dollars online on your own, there is simply no way that you will be able grow your business fast without a coach. Think of it this way. You can either start your journey to wealth trying to figure it all out by yourself or you can have someone hand you the blueprint to making money online that is proven (and backed up with real income) to work. Which option would a smart business owner choose? This year, I have managed to transform my affiliate marketing business and bring in more money simply because I took the time to learn from other people who are already successful. 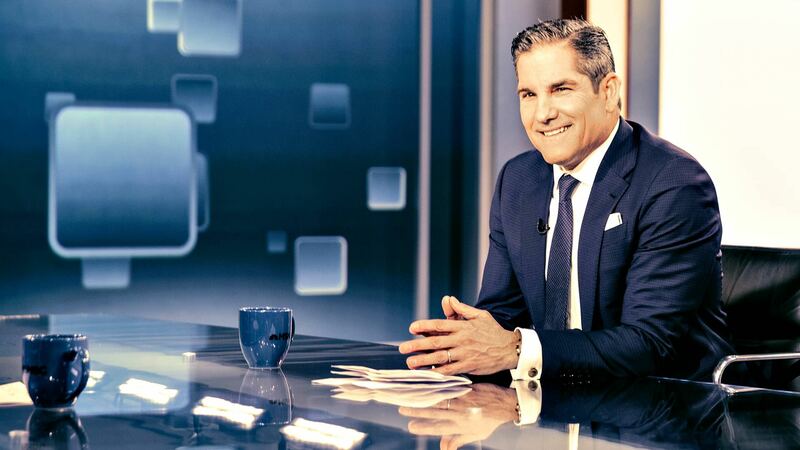 For 30 years, Grant Cardone has been helping everyone from individual sales professionals to Fortune 50 companies, build, implement, and execute high-efficiency sales processes and education programs that produce predictable record-breaking results. Having built 4 companies that produce over $100 million per year in annual sales, people have always wondered how they could achieve those same results for themselves. He teaches you “How to 10X Your Business” so that you can instantly increase your sales and income. Patric Chan is an internet marketing pioneer and a best-selling author. He has also spoken in 12 countries as an authority of internet marketing in United States, China, UK, Indonesia, Australia and others. While that might sound like sunshine and rainbows and exactly how life should work, I’ve discovered that it is absolute BS when it comes to building a business as an affiliate. There are two main problems with this line of thinking. First, there might not be affiliate offers available for you to promote in the area that is your passion. Second, you might be absolutely terrible about getting someone else to buy something that you’re passionate about. If you’re looking for evidence for my claim, just take a look at all of these folks over at WarriorForum who are struggling to sell self-help products as an affiliate. The main problem there as it turns out is that the main market for self-help products really is offline and for selling to large corporations. Secondly, many affiliates are also making the mistake of targeting keywords related to the solution rather than the customer’s problem that would make them buy the product in the first place. Instead of using “Do what you love” as your main motivation for choosing affiliate products to promote, I recommend that you focus more on metrics, such as commission percentages, recurring commissions, and product quality. This piece of advice is really only aimed at those who really have trouble putting in the hard work needed to become successful in affiliate marketing. However, for the dedicated affiliate that has what it takes to make it, it’s perfectly okay to change your niche once you’ve decided that what you’re doing is not working. 1. Discovered new products and services that were about to be huge online. 2. Tested out different methods of targeting consumers (some promotional methods only work in certain niches). 3. Earned commissions on an offer virtually overnight. The bottom line is that while some niches might take you months to see results, you might find that changing your niche could deliver instant sales. At least that is what happened to me. Yes, it is possible to make affiliate sales just by posting your affiliate link. But if you want to earn commissions over and over again and not have it just be a fluke that you got a sale, you need to make your campaigns visual with your own custom graphics. Why do custom graphics work? They show up in Google images. That means that any time someone searches for keywords related to your affiliate product, your custom graphics will show up and increase clickthroughs to your affiliate offer. This will help you stand out especially if you want to do a review of an affiliate product. They prove your authority. Who wants to buy something from the fly-by-night guy via a text link on his Blogger blog? Most people don’t. That’s why the bulk of affiliate sales go to bloggers who have taken the time to build up and brand their websites. They set you apart from the competition. In many cases, companies don’t only make creatives for the affiliates, they also use them themselves! Don’t make things more competitive for yourself by using the exact same images that other people are already posting. If you want real affiliate money, this is what you have to do. It’s mandatory. Now if you want to know about the tools that I use to create custom graphics, I recommend that you skip the hassle of doing it yourself and hop on Fiverr and find a graphic designer to create some custom images for your campaigns. Everywhere you look, you’ll see people promoting Facebook Ads or another paid advertising method as the only way to make money with affiliate marketing. Fortunately, this simply isn’t true. There is a ton of low cost or even free advertising out there if you look for it. As far as people considering these traffic sources to be low quality, they don’t have to be unless you don’t understand the type of audience that you’re marketing to. In 2018, some of the free advertising methods I used to make money every single month included Facebook Groups and safelists. So how did I discover all of these affiliate marketing tips? Hard work! If you want to get to the point that it takes only 2 hours per day to manage your affiliate marketing business, it starts with working smarter and not harder. What affiliate marketing myths have you uncovered thus far? Share your experiences in the comments below.